After 16 seasons in Winter Haven, FL, the Cleveland Indians returned to Arizona in 2009, where they trained from 1947 until 1992. In 2010, the Indians cross-state rival, the Cincinnati Reds, joined the team at the Goodyear Ballpark, moving from Sarasota, FL. 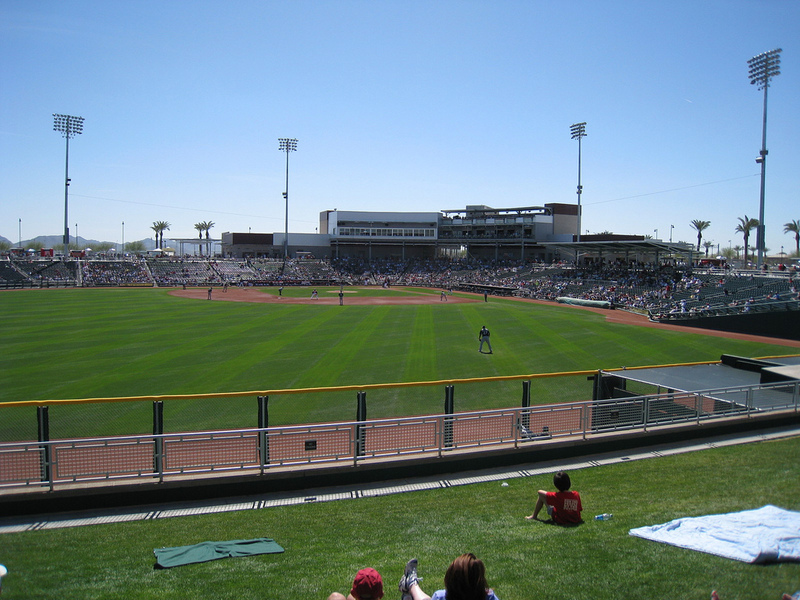 The 8,000 seat ballpark complex for the Indians and Reds is located in Goodyear, AZ. Not only does it seat 8,000 fans, but has 1,500 berm seats, six luxury suites and party deck for 500 fans.